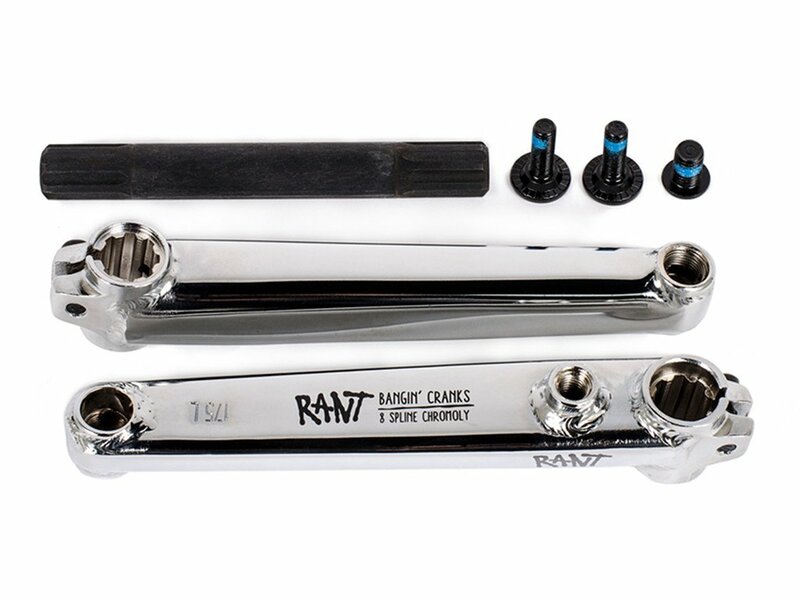 The Rant BMX "Bangin 8 Spline" BMX Crank is an affordable 3-pc. crank for beginners made of 4130 CrMo and coming with an 8 spline 19mm spindle. 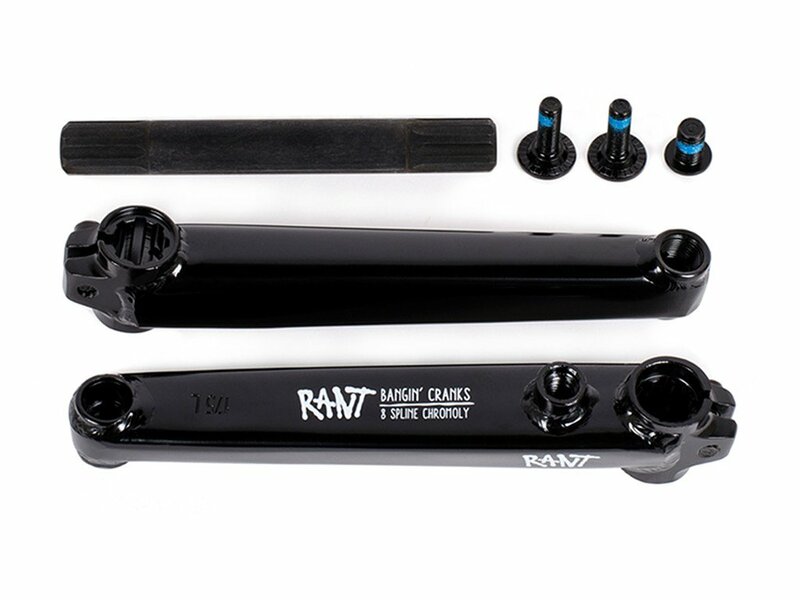 The sprocket bolt of this Rant BMX "Bangin 8 Spline" BMX Crank keeps big sprockets (25T) tight.